The results of Jhalak Dikhhla Jaa 9 are out. It is Teriya Magar who has taken home the trophy. The lovely teenager from Nepal defeated the likes of Salman Yusuff Khan and Shantanu Maheshwari to win this season. 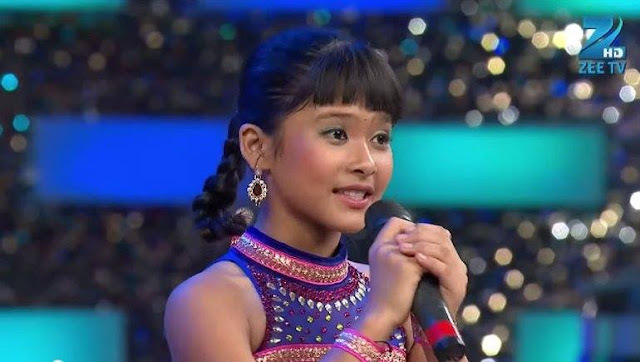 Teriya has won Dance India Dance before and had been putting in spectacular performances since last few weeks. The girl is a master in modern dance forms and entered the show with the likes of Swasti Nitya, Spandan Chaturvedi and Gracy Goswami. Like Faisal Khan, Teriya is also a junior champion dancer. It really seems like Jhalak is no more the journey from a non-dancer to a dancer. Teriya, is a student of St Lawrence High School, Vashi and has won numerous awards. She won Dance India Dance Li’l Masters in 2014. She is a good student and aims to become a versatile dancer. Teriya had tough competition from Salman Yusuff Khan and Shantanu Maheshwari. The win is shocking as Shantanu was the clear crowd favourite. It was expected that Salman would not win given the essence of the show. Teriya’s past few performances had been great and the girl reserved the best for the last. It seems Salman is the first runner-up while Shantanu is the second one. We had told you all the three have experienced big finals before. Shantanu is a world class hip-hop dancer while Salman is a famous choreographer. Teriya’s win will indeed warm the hearts of her young fans. The winner was adjudged by Farah Khan, Salman Khan and Jacqueline Fernandez.